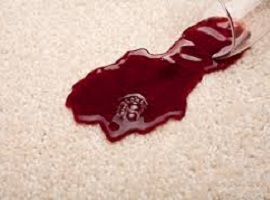 Carpet Care Solution understands life happens and no matter how careful you are accidents will too. We offer a carpet protector for added protection which can extend the life of the appearance of the carpet. Carpet Protection is a protective finish for areas rugs, carpets and upholstery and it creates an invisible shield which repels spills so that they can be blotted up quickly and easily. The best time to apply the protector is right after steam cleaning. For the best in Carpet Protection call 905-819-0462 today! Most new carpet comes treated with carpet protector, but this protection wears off over time. Reapplying this protector helps preserve the beauty and life of your carpet. And it gives you extra time to clean up spills before they turn into stains.